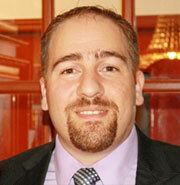 Dr. El-Zahab is an expert in the area of nanomaterials for energy applications.He joined the FIU MME faculty in 2012. He obtained his Ph.D. from the University of Akron in chemical engineering focused on bionanomaterials for applications in fuel synthesis and carbon dioxide utilization. In his postdoctoral research at Louisiana State University he developed new fluorescent, magnetic, and other functional nanomaterials composed of ionic liquids. In his postdoctoral research at Massachusetts Institute of Technology, Dr. El-Zahab worked on the development of electrolytes and polymeric separator membranes for lithium-ion batteries. Dr. El-Zahab has published 26 research journal articles, 2 review journal articles, and has 3 pending patents. His research group is centered on the development of advanced materials addressing energy problems.